SPACE IS LIMITED, SO CALL 210-777-2017 TO SIGN UP TODAY! 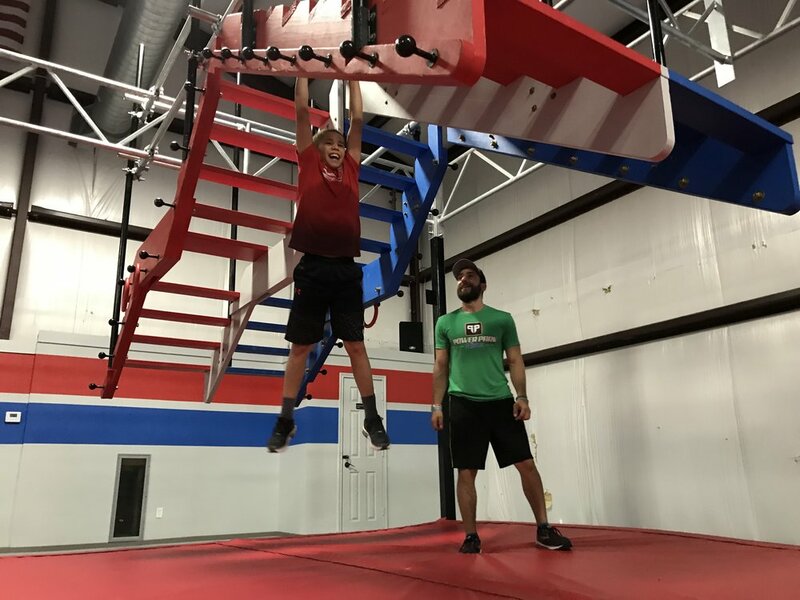 Description: Our Ninja Coaches use foundational exercise, games, and activities to make your kids stronger. Each kids’ fitness class meets individual students at their level with workouts and challenges that scale up and down based on age and ability. "Becoming a better ninja” overshadows everything we do. This motivation, along with encouragement and support, drives our students to work hard and makes fitness fun! Our kids ninja classes will develop your child's strength, but also their personal confidence, coordination, determination, and sense of achievement. When a child works hard and conquers a challenging obstacle in the gym, they carry that accomplishment into life! This includes any 2 classes each week, unlimited free open gym for the student, and 10% off parties! Class times fill up quickly, so we do ask that you reserve your place in advance and notify us of any changes. READY TO SIGN UP? CALL 210-777-2017 RIGHT NOW TO RESERVE YOUR CLASS TIMES! Safety Note: Prior to attending class, each student must take a PAT (Physical Assessment Test) to determine their current level of ability. Safety is our top priority with your kids, and this test helps us to keep them safe by providing appropriate challenges and exercises for their current physical condition. The PAT is scheduled at your convenience when you enroll for classes.